Simone Paz has been working towards living a sustainable lifestyle for the past 15 years, and has always been deeply passionate about personal environmental health and sustainable living. When her son was born in 2015 she faced the realization that our collective actions will directly affect his future, and that we can all take responsibility for our personal actions in a meaningful and rewarding way. She subsequently decided to devote her life and career to educating and supporting individuals and businesses in their pursuit of non-toxic, sustainable and zero waste goals. 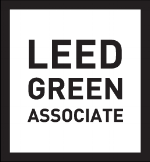 She is an accredited LEED Green Associate through the U.S. Green Building Council, a TRUE Zero Waste Advisor, a Climate Reality Leader trained by Al Gore, a Global Green Eco-Ambassador, a UC Certified Victory Gardener, and has a California state certification in Recycling and Resource Management. She received her BA in Art History and is currently pursuing an MS in Environmental Studies.